THEY have been coming to the Sierra Nevada for decades from their home in Almeria. And, best of all, retired expats Martin and Brenda Carney, 72 and 70, now get their ski passes completely free of charge. Shop boss Montse (pictured with them) explains that they have dozens of clients in their 70s, and one Norwegian in his NINETIES. 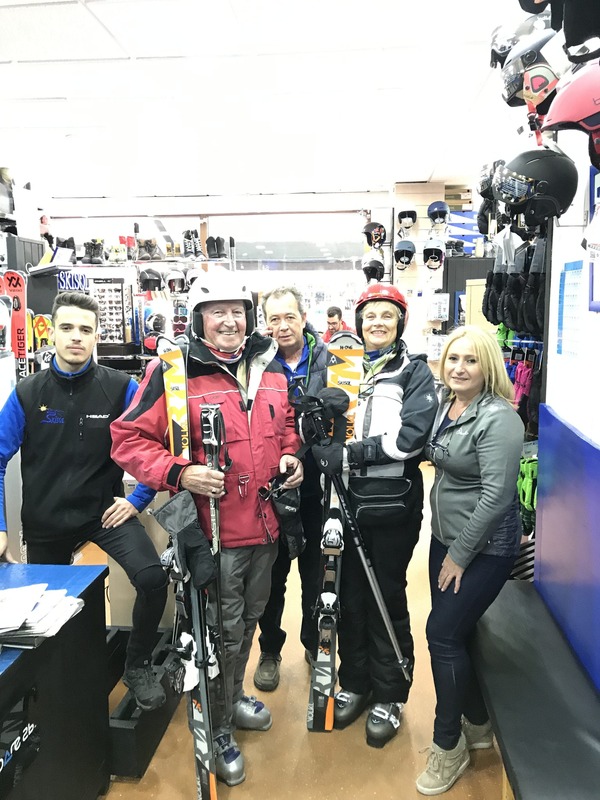 Many of the local business owners still ski every day, well into their sixties. They include Jose Carlos, at Bodega Casablanca, and EOE skiing school boss Jose Luis Hernandez, 64, who explains: “It’s a great sport, using almost all your muscles, your arms, your legs and your dorsals, not to mention the heart. Statistically 2.7% of skiers in the Sierra Nevada are over 60 years old.